The business card was stamped using lemon juice as ink, however the only visible copy on the card is “grill me”. After grilling the card against fire, the scientific effect between heat and lemon juice will cause the stamped message to appear. 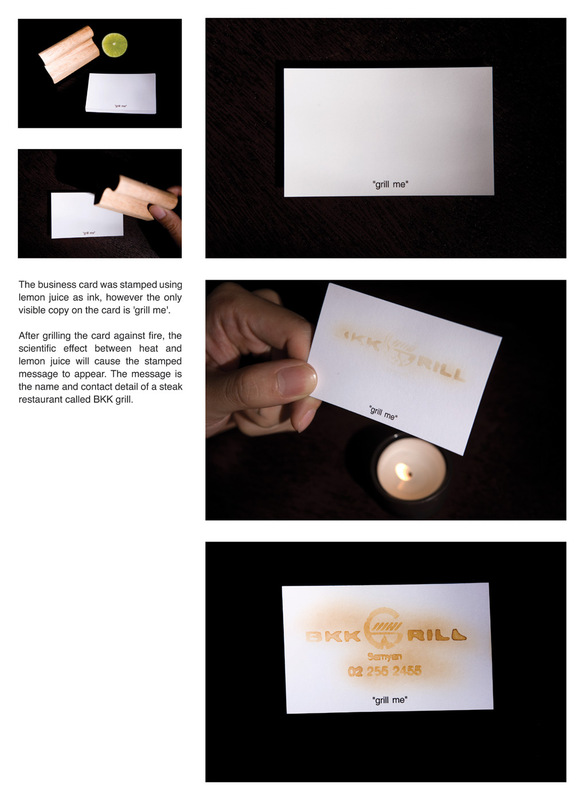 The message is the name and contact detail of a steak restaurant called BKK Grill. ~ by BRANDED Solutions on December 1, 2009.